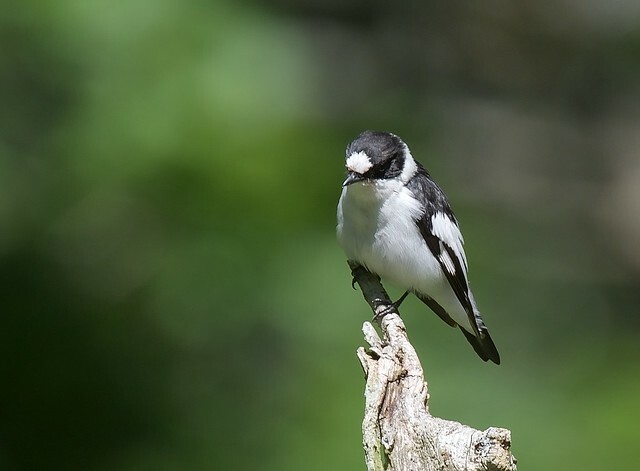 Our Birdorable Bonanza: 2015 Advent Edition continues today with a pretty black-and-white flycatcher from the Old World: the Collared Flycatcher! 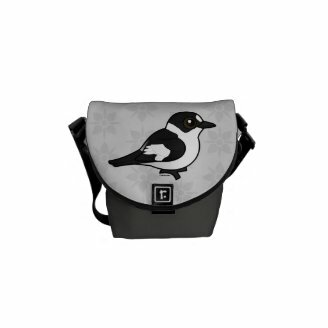 The Collared Flycatcher is a pretty black-and-white species of songbird found in the Old World. These flycatchers are migratory; they breed across parts of Europe and winter in southeastern parts of Africa. As one would expect, Collared Flycatchers feed on flying insects. They also eat other insects like ants and spiders, as well as snaile. They may also feed on seeds and berries found in their preferred forested habitat. Collared Flycatchers nest in cavities, using tree holes or nest boxes. An open nest is constructed inside the cavity for incubation and brooding. During the nesting and fledgling stages, young Collared Flycatchers or unhatched eggs may fall prey to Great Spotted Woodpeckers. 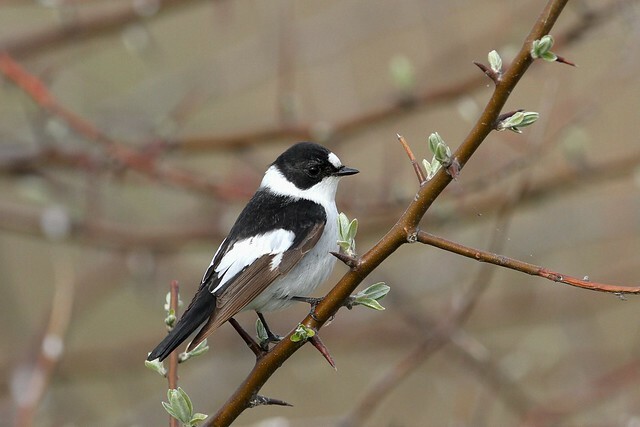 Via scientific bird ringing or banding, it is known that the longest-lived wild Collared Flycatcher reached nearly 8 years of age. The Collared Flycatcher is our 629th Birdorable bird. 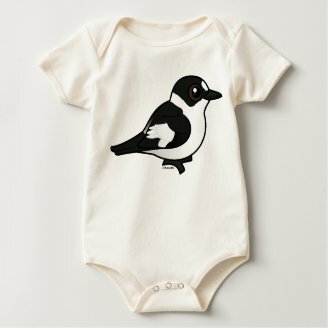 Be sure to check out our collection of apparel and gifts featuring the Birdorable Collared Flycatcher! Our Bonanza continues tomorrow with a bird named for its very large beak. Can you guess tomorrow's species? 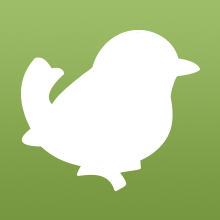 3 comments on "2015 Bonanza Bird #13: Collared Flycatcher"